Welcome to Week 47 of Year 5 here at Paint Party Friday! Great to see so many people at last week's party! This week random.org chose #12 - Dea Lenihan. Dea was inspired by a small visitor, Sandy, who she frequently treats to a nice little meal. 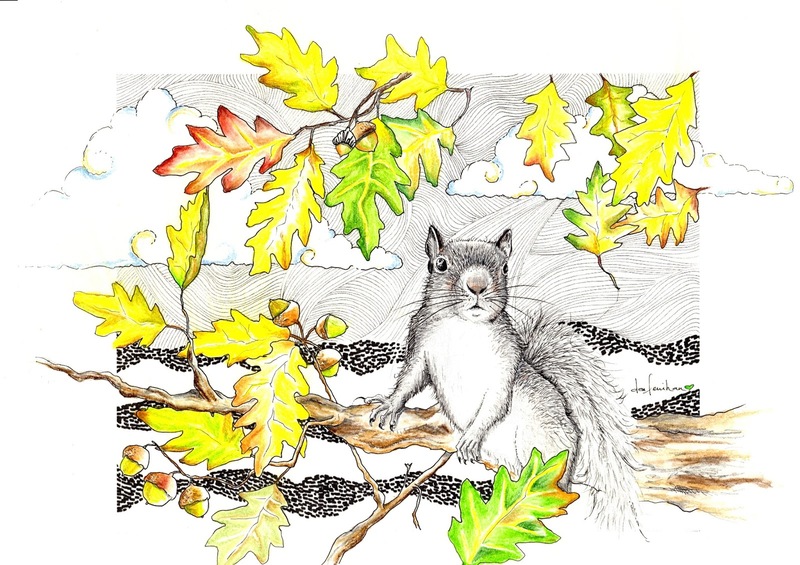 Please check out her post to learn more about her little friend, and about National Squirrel Appreciation Day. 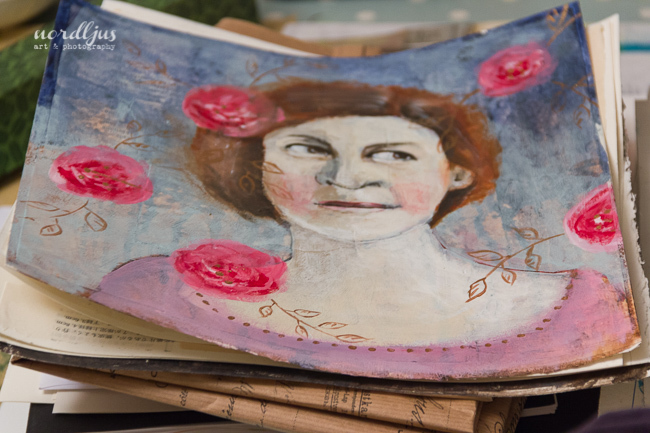 Have a fun and paint-filled week! Welcome to Week 46, Year 5 of Paint Party Friday! This week, the random.org number generator chose #61: Mona Pendleton. 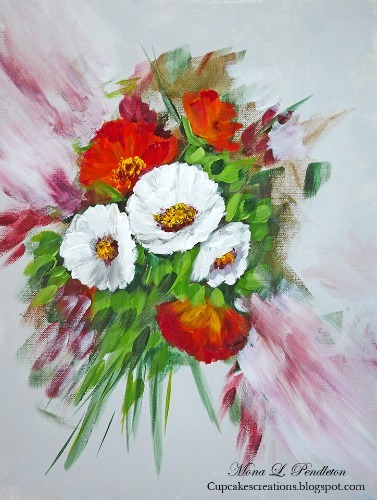 Last week Mona shared a lovely bouquet of freshly painted poppies and white blossoms. Please be sure to stop by her blog to see her latest acrylic paintings! Welcome to Week 45 of Year 5 at Paint Party Friday! This week random.org chose #17: Nordljus. Last week, Katja shared an inspiring blog post for the new year. 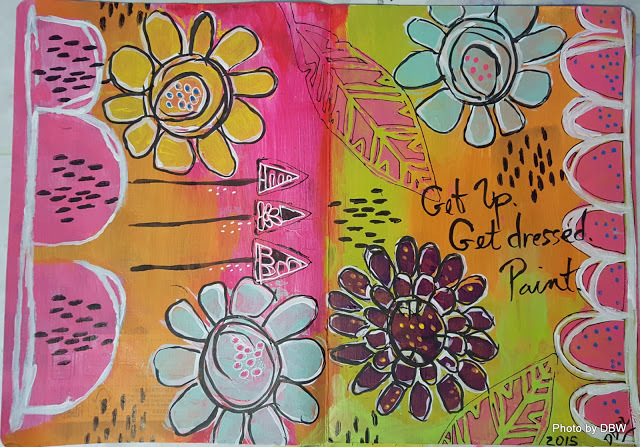 In addition to her wise words about letting go of expectations and self-imposed pressure, she also shared this beautiful painting that is the beginning of a series that will help her achieve her studio dreams for the year. We're looking forward to seeing where her explorations take her! Have a fun, playful, and expectation-free week! Welcome to Week 44, Year 5 of Paint Party Friday! We hope the new year is off to a fun, paint-filled start! This week, the random.org number generator chose #18: Diane Baker-Williams. Last week Diane shared a blog post filled with beautiful journal images, helpful technique advice, and lessons learned... It was chock full of inspirational insights, so please be sure to stop by her blog! Welcome to Week 43 of Year 5 here at PPF and to the start (um, a bit late... oops!) of 2016! May it be a wonderfully creative, healthy and happy year for you! This week our random number generator chose #28 - Renee Thompson. Renee painted this vibrant painting of a peacock in a free flowing style, remembering a peacock she knew as a child. Please check out her post. Enjoy all the wonder this week and 2016 brings!